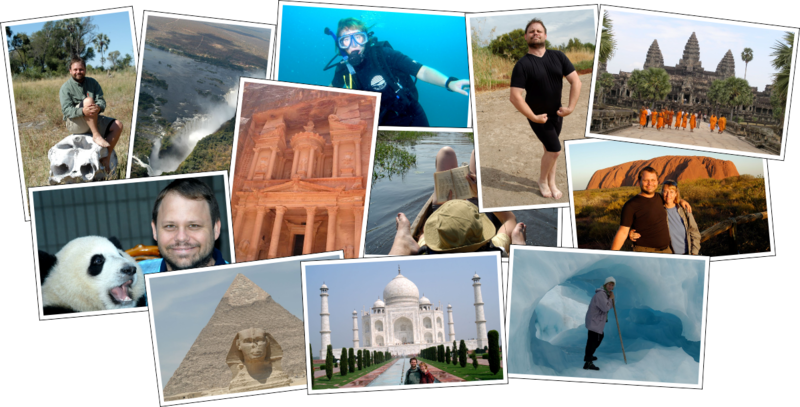 Over the course of a couple of years, Sandy and I back-packed around the world on a grand tour. 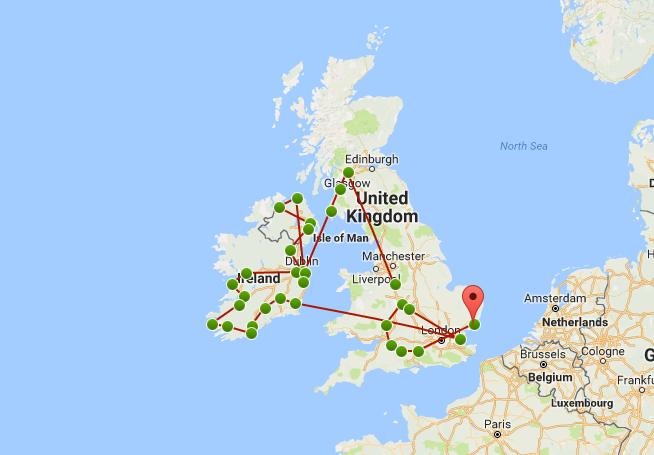 Whilst on the road, I wrote up a travel journal at the end of each day. Once we settled down and had kids, I continued the tradition of writing up the day's events on all the family holidays we've taken. This web-site showcases all the blog entries and photos from our travels. 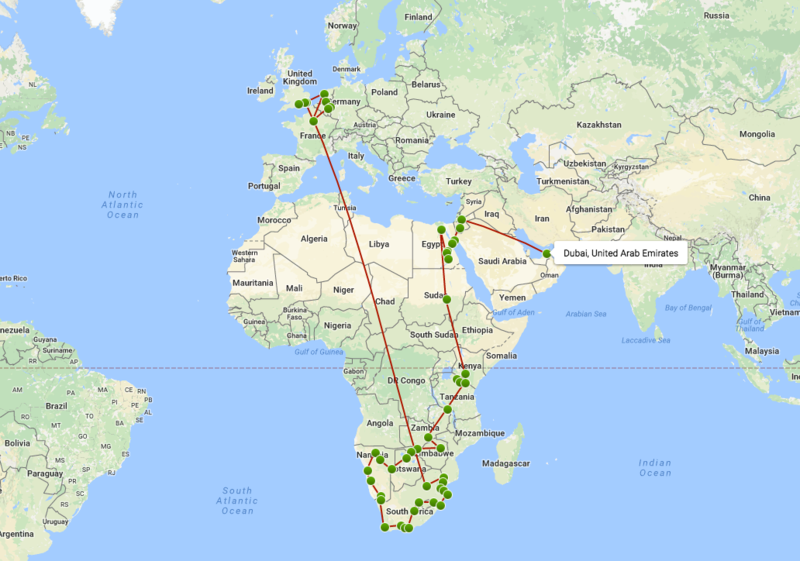 The various region maps below depict those places we've been to for which blog entries exist. 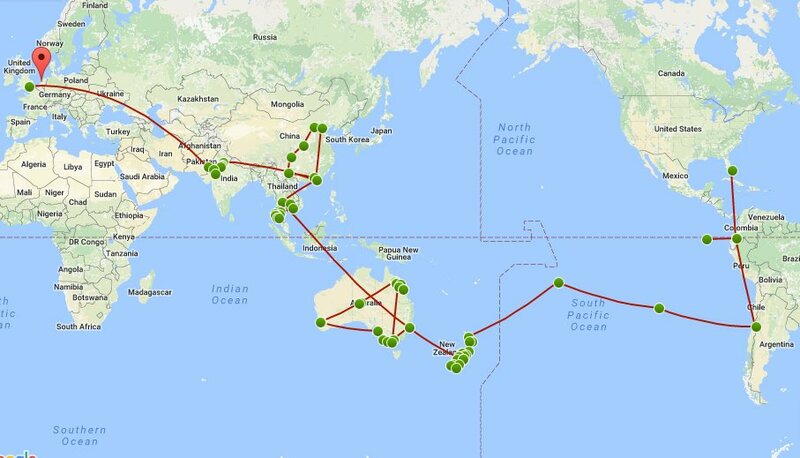 Click the maps below to chart our progress on the three legs of our Round The World global travels. Check out the daily itinerary here.